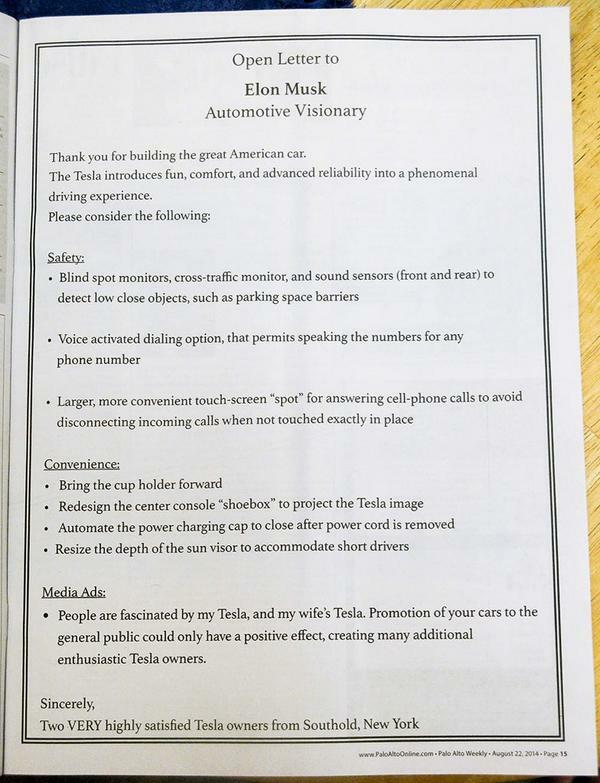 A few days ago, a New York couple took out an ad in the Palo Alto Weekly asking Tesla Motors‘ CEO Elon Musk to make some improvements to the all-electric Model S sedan (see below). My 2¢: When done right, ads don’t just attract us — they change us. p.s. I test drove a Tesla Model S in Seattle back in 2013. “How was it?” In a word: breathtaking.